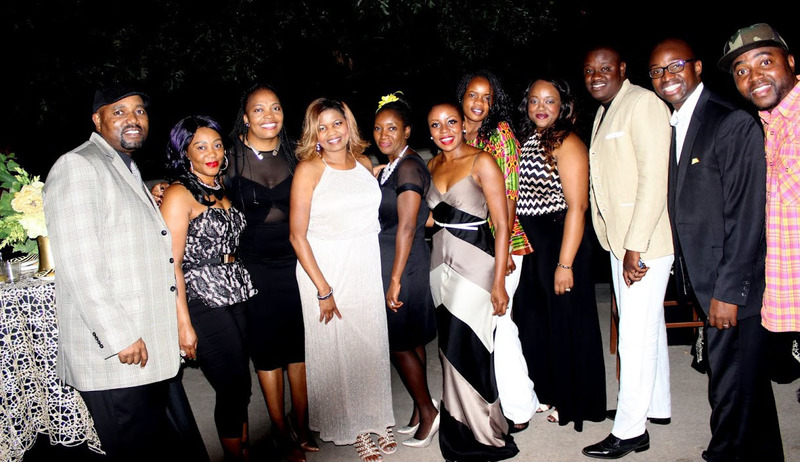 The Zimbabwe Achievers Awards USA Edition 2016, got off to a seamless start at the Nominee Announcement launch held in Dallas, Texas USA on Friday 23rd September. With the 2016 Edition of the ZAA South Africa Awards also on the horizon, nominations for both the US and SA versions of the awards opened in July across 15 categories, individually. The categories include business, arts, sports and community based initiatives. "The shortlist of the USA nominees boasts some stellar names and has uncovered some hidden gems", said Ontrance Mureverwi, ZAA USA Planning Director. [Full nominee list below] The inaugural awards gala in the US will be held on Saturday 19th November at the Westin Stonebriar Hotel & Golf Club. Tickets are on sale at https://www.ticketriver.com/event/21304?clear at $60 a pop with some early bird tickets at a discounted price. North of Dallas, the club boasts views of the iconic championship 18–hole Frisco golf course designed by America's top golf course designer Tom Fazio. Nominations for the SA edition have closed and the shortlist will be announced on the 6th of October in Sandton, Johannesburg. South Africa's reception will follow a few weeks later on the 10th of December at the Maslow Hotel, Johannesburg. During the ZAA USA launch, Zimbabwe's leading financial institute, Steward Bank was unveiled as one of the main sponsors for the upcoming editions of the Zimbabwe Achievers Awards taking place in the United States and South Africa, in November and December respectively. Louis Charema, ZAA International Executive said that the committee were delighted to welcome Steward Bank on board as an official partner and were looking forward to working with them. Charema added that the Commercial Bank's support with the respective franchises would only strengthen an already growing relationship with the Zimbabwean community on an International spectrum. The awards organisation, which was established in 2010, and is the brainchild of ZAA Chairman Conrad Mwanza, recognises and honours Zimbabweans excelling in various countries, including the United Kingdom. "Steward Banks' involvement with both ZAA-SA and ZAA-US only proves our ongoing commitment to building, engaging and supporting Zimbabwean communities around the world," said Mwanza. Steward Bank who launched a new diaspora product range in the UK last April specifically tailored for Zimbabweans living, working and studying abroad said they were delighted to be partnering with the Zim Achievers Awards. Chief Executive Officer, Lance Mambondiyani said they were proud to be associated with the awards and that he was looking forward to the journey ahead. "The Zimbabwe Achievers Awards have been a major highlight in the UK, as well as in South Africa, and soon to be in the United States and, it is wonderful to see what the organisation has done over the years in recognising Zimbabweans who are excelling in their various disciplines, business or other. "We are honoured to be a partner of an establishment that on a yearly basis celebrates these accomplishments across the world and we are looking forward to the announcement of the nominees for both editions," added Mambondiyani. Tickets are available for both editions and can be purchased directly from zimachievers.com/us and zimachievers.com/sa The high profile awards have become the highlight of celebration for professional and artistic achievements by Zimbabweans in the UK and South Africa, and with the US edition in full swing, there are plans to expand to other countries in the next year.